I work as a therapist in Hebden Bridge. 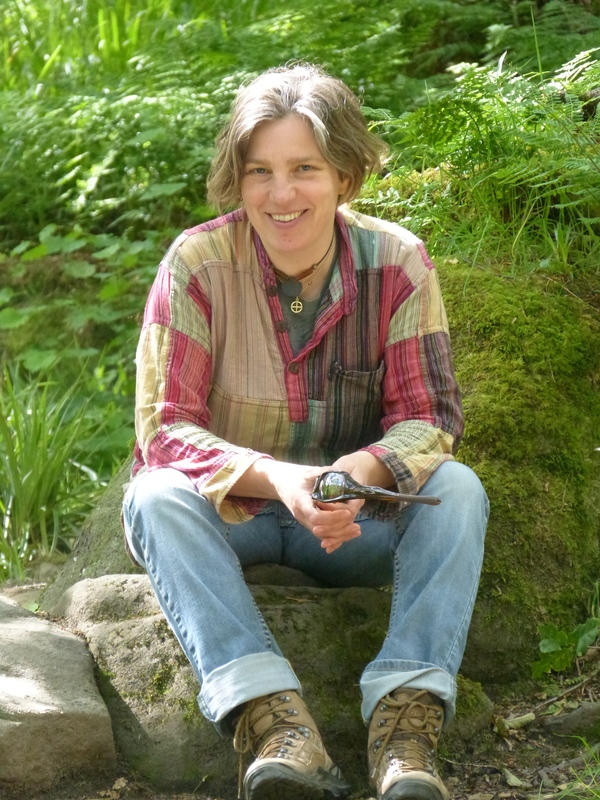 I am a co founder of Grow Between which is an organisation set up to create a space for the development of ecosystemic living- and therapy practice which is grounded in an ” animal fidelity to the animate earth” (Alliance of Wild Ethics). Over the last few years I have been allowing changes in my own living as I move from an idea of living on the earth to more fully sensually recognising and experiencing my embeddeness within the living earth. I think that this shift in consciousness is vitally important in these times where our dominant culture is characterised by profound disconnection from ourselves, our bodies, each other and ourplanet. In the process of allowing connection once again, within myself, to sustaining earth, and in the process of participating in creatively connecting communities I am finding a path that is making sense in my therapy practice and life as a whole.